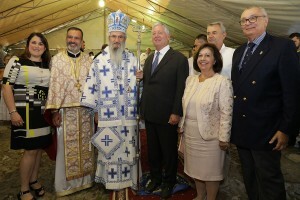 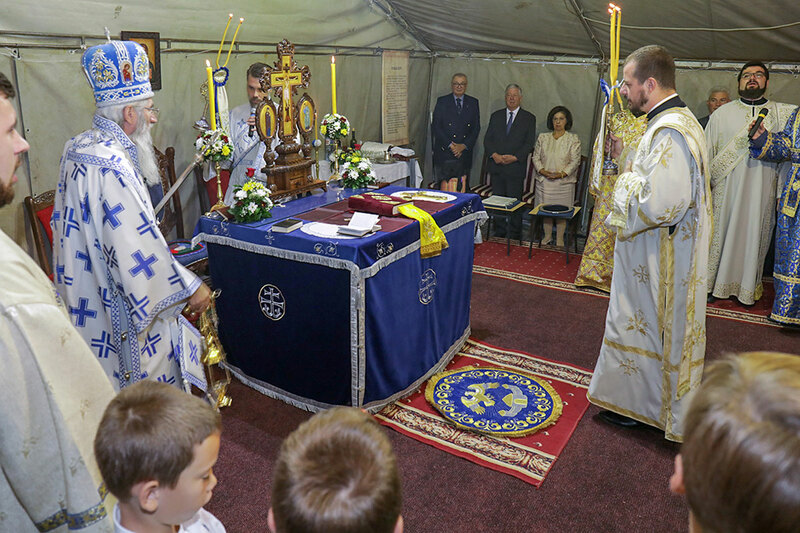 Their Royal Highnesses Crown Prince Alexander and Crown Princess Katherine, accompanied by The Honorable Branko Terzic, member of the Privy Council, attended the Holy Liturgy and procession in Topola today. The Holy Liturgy was officiated by His Grace Bishop Jovan of Sumadija on the Nativity of Mary, the Patron Saint day of Topola. 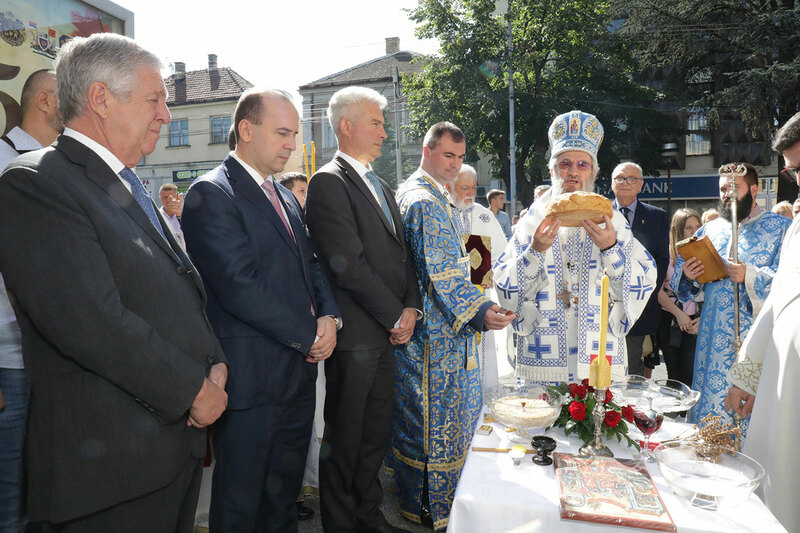 The Liturgy was also attended by Mr. Dragan Zivanovic, Mayor of Topola, Mr. Dragan Jovanovic, President of the Municipal Assembly of Topola, Mr. Dragan Reljić, Manager of the Foundation of HM King Peter I Karadjordjevic, Fr. 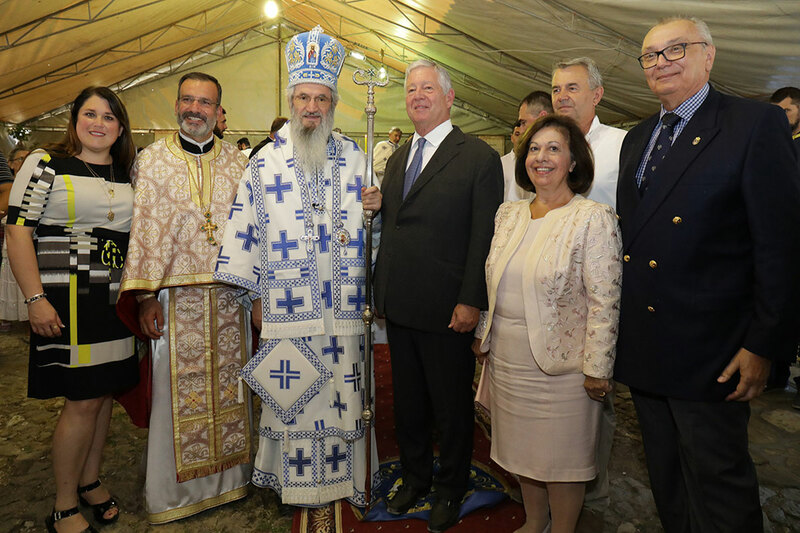 Samer Youssef, priest of the Antiochian Orthodox Church from San Francisco and other citizens. 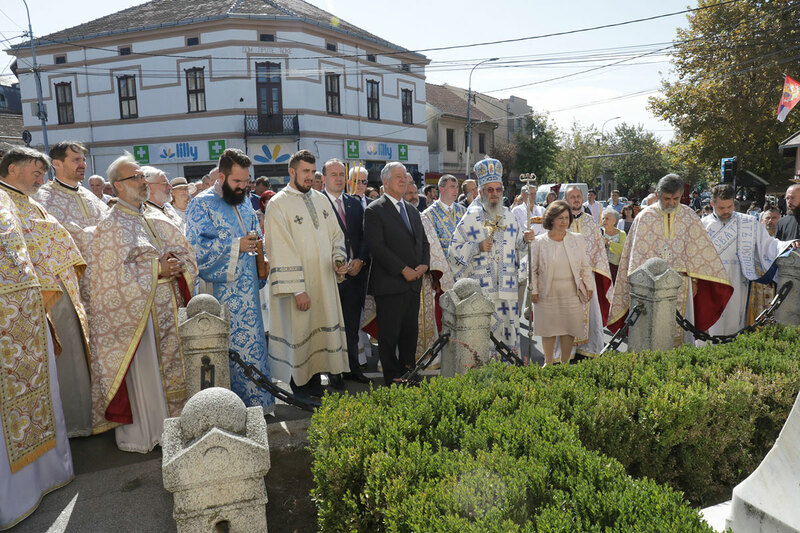 Topola is located in the heart of Sumadija, and has a special importance for the Royal Family. The founder of the dynasty, Karadjordje, led the First Serbian Uprising from a nearby village of Orasac. 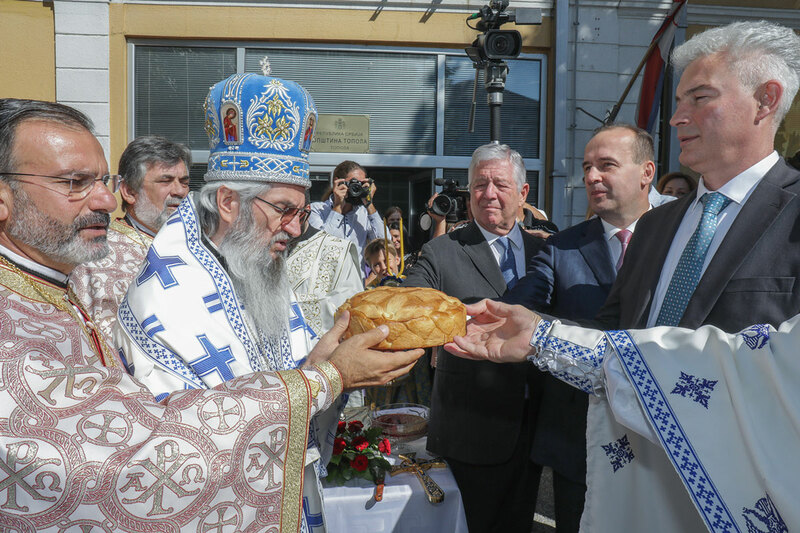 After the WW1, the Foundation of HM King Peter I was established on a nearby hill Oplenac, with the magnificent Royal Mausoleum, St. George Church.